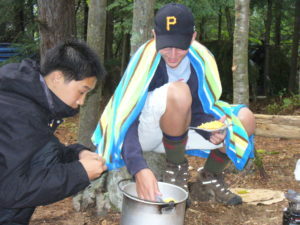 Scouting provides wonderful ways to have fun in the outdoors. I would say that there are two types of experiences. The first kind is picture perfect; smiling scouts under sunny skies. The second type is the activity that is better talked about after the fact than it was during the event. I arrived at the site on foot with everything I would need for an overnight. I setup my tent in a clearing not too far from a fire ring. After dinner, thunder could be heard in the distance. We settled into our shelters for the night. Then the rain started. It was a soft summer rain. One by one the scouts abandoned their “shelter” and congregated around the fire ring complaining about the quality of their shelter and their lack of supplies. Then a scout suggested that they ask me to take them back to the Troop and their dry tents. The reaction of the rest of the scouts was amazing. They stopped complaining about what they didn’t have and talked about what they did have. They got to work creating a fire. They talked about the rain not being that heavy and reminisced about worse weather. In the early morning hours the rain stopped and we got a little sleep. As a parent I do want to protect my children, and scouts in my care. I would have packed up and taken the scouts to their dry tents if they had asked. With devices keeping parents and children connected it is easy for parents to assist a child with the smallest of obstacle, limiting the opportunities for children to build self efficacy by figuring out their own solutions. Because these scouts decided to stay they each earned the Wilderness Survival merit badge. In the morning they triumphantly paddled their raft to the beach. As an observer I left with hope for these young men in the future. In each life a little rain will fall. When it does these guys will not give up or just endure, they know how to lift spirits and provide comfort in those times. When I saw the video of Alton Sterling’s killing for the first time, it frightened me. The video evokes memories of waking up to sounds of gunshots and artillery fire on one beautiful October morning in Koidu Town, Sierra Leone; rebels had attacked the city that morning. I felt broken, my spirit dampened, and experienced fear on that day like I never felt before. It was as if hope had left my being. I felt exactly the same way today, after viewing the video again. I was equally horrified when I woke up to news of another police involved shooting in Minnesota, and the senseless killing of five police officers in Dallas, Texas. I’m sure that the perplexed feeling I had was shared by many here in America and across the world. And like many of you, I asked myself these questions: what are we becoming and what are we to make of these tragedies? I also asked myself what can I do to help put a stop to it? It was with that feeling that I called a few of my team members to see how they were coping. I wasn’t shocked to hear that they were also confused, fearful and broken. They also asked themselves the very questions I was grappling with. 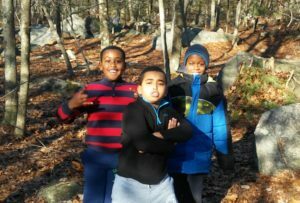 As the professional overseeing the inner city program for the Boy Scouts of America in Northeastern Massachusetts, most of our Scouts are minorities. I have often wondered what our Scouts are feeling during moments like this. I wonder if they have the avenue to express themselves in a positive manner and come to grip with this reality — and most importantly, what can I and the Boy Scouts do to stop these tragedies. Chuck is right, we must act, but act in a meaningful way. We understand that this is a very sensitive issue, therefore, many organizations stay away from it for fear of antagonizing the public. Because of what we (the Boy Scouts of America) do, (which is helping to shape the lives of youth), we cannot shy away from these issues. As a professional tasked with overseeing Scouting in urban areas, and as an Exploring Executive that works with police officers, I see community and the very best in each of us. As an organization, we must take a stand for what is morally right, not convenient. We must foster an environment that allows our Packs, Troops and Crews to become places where genuine interaction between youths and adults occur regardless of political association, skin color, or profession. That is by facilitating a space for genuine interaction that celebrates all of our differences and help bridge gaps that exist in our communities. A space where young people are equipped with life skills. In this space, our focus is youth and equipping them with character that builds a healthy nation. This space brings all of us together and in the process helps us learn a bit more about the other. In the end, we define ourselves less by our profession, skin color, political affiliation or financial aptitude. Widening this space is what I intend to do to help put an end to these hurtful times. Three boyhood friends, one Asian, one African American and one Caucasian walk into the Bar at the Ritz. They all grew up together, went to Milton Academy, and recently all graduated from Harvard Business School… This may be the beginning of a joke, but the question I would ask is, are they a diverse group? My answer would be NO! Diversity is more that race or ethnicity; it is a group of people from diverse racial, ethnic, social, religious, educational, financial, life experience and cultural backgrounds working together for a common goal. The above group may be of different races, and possibly other factors, but the all share an equal cultural and social foundation. The recent acts of race and ethnic base violence became a catalyst for my second blog. Part of the reason is that I am trying to come to understand something that is beyond my understanding, how people make decisions and act on them based solely on someone’s race or ethnic background. The other part is to share how lucky I am that our Scout group in Chelsea has remained free of any ethnic or racial discord. My upbringing did not prepare me for the racial tensions that are so much in the news. Having grown up in Puerto Rico, a community as racially diverse as you will find, we could not understand the racial tension shown on American TV during the 60’s and 70’s. Our running joke in those days was that if we were racist, we would start by hating ourselves! When my wife and I restarted the Cub Scout Pack in Chelsea, we made a decision to actively recruit Scouts from every race, ethnicity, social class, religion etc. We did not want a Hispanic or any specific ethnicity group. It was important to me to try to recreate the Scout experience I was involved in as a youth. Fortunately our neighborhoods are exactly like that. The Chelsea schools are integrated regardless of any traits from preschool on. All kids learn early on to work with other children regardless of appearance or any other differences. As much as younger children do not have any preconceived ideas of hatred or racial bias, unfortunately parts of our society seems to very easily teach our children about it. It has been our priority as Scout leaders to keep those divisive issues from our Boy Scout program. We emphasize from day one, that we are stronger because of our differences, not in spite of them. Our Scouts learn to judge each other based on actions and behaviors, not on skin color, country of origin or language spoken. By using the values taught in Scouting, we are able to keep at bay the negative values that seem to run freely thru our society today. We teach our scouts to value cooperation vs. winning at all cost; the importance of community betterment vs. self gain; the importance of trustworthiness vs. selfishness. These are the values Scouting instills on our children and teen agers, and we must continue focusing on those values. Unfortunately, the foundation of Scouting as a community base organization, can also be use to foster those negative values. We must remain vigilant against some of the more narrow minded and bigoted views within our movement that want to return to the “olden days”. The future of our communities and our program will be on how it deals with those that are different from “us”. Every time I hear the old “but this is how we have always done it” my stomach churns. This excuse has been used for generations to allow for everything from slavery to segregation; from withholding education from girls and children with special needs to withholding equal pay for women or other special or disenfranchised groups. Presently we have 25-30 Scouts from several countries, religions, races and at least 5 different languages. We have Scouts with physical, emotional and intellectual disabilities. We have Scouts from financially challenged families and Scouts whose families can help and contribute. 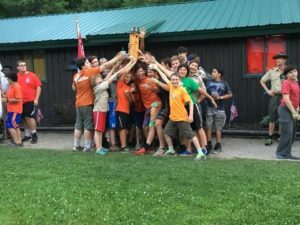 At our recent summer camp I was stuck by the fact that on the second night of the week long summer camp I had 3 homesick Scouts, all three were different races, ethnicities and which all spoke different languages. When the tears came, some of the other Scouts jumped into action. Amazingly, they did not jump in to comfort the children that were “similar” or the same ethnicity or spoke the same language as them, they just helped a Scout. It was not based on race, or ethnicity or language, just simply Scouts helping other Scouts. That was all the proof I needed that we are on the right track, we just need to persevere. MLK’s famous speech was about his dream, I am happy to see Chelsea’s Scout group bringing that dream a little closer to reality. ScoutBook: What’s in it for US? I have been adult leader in Scouting for around 22 years. Finding better ways to stay organized has always been important to me, as there is only so much time in the day to balance family, work, church and Scouts. In Scouting, it is important to NOT reinvent the wheel, but to talk to other leaders by attending Roundtables, taking advantage of adult training opportunities and being present at Council gatherings. Find out who else is doing something better… and do that, is my motto! We are always better off when we share ideas and experiences, right? 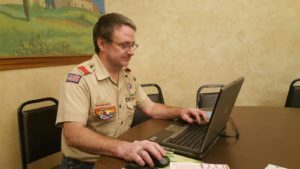 When I first heard about ScoutBook, at the 2013 National Jamboree, it only took one quick demo and I knew that having this program would make my life as a Scoutmaster so much easier. Why?… because advancement and personal information records would be stored all in one place, in a secure place, but viewable by the whole Troop. Last October, when I found out that BSA National had bought the program, I signed up our Troop. Youth are empowered to take control of their own advancement. Parents know where their sons are in terms of their advancement as well. No longer do they have to search for the Scout Handbook. Wherever and whomever is allowed electronic devices, this information is available. Each Unit sets the parameters of what is viewable and able to be entered. Nobody needs a list of emails or phone #’s of anyone in the Unit. Youth protection exists, as the parents linked to the Scout are copied on communications. Youth and adult leadership positions are recorded. 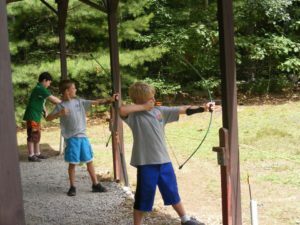 Merit badge counselors are listed for quick reference (for Boy Scouts). Keeps track of the dates of your medical record, swim test classifications, and adult training… which is important to trip planners. Calendars, with reminders and attendance is all part of ScoutBook records. Can create reports by patrol of who is working on what requirement to help patrol leaders and for planning activities. We can have discussions regarding: does ScoutBook do this or does ScoutBook do that? But, the bottom line is, ScoutBook is here to stay and will improve with time. Persons like myself, across the country are helping to make suggestions and prioritize future enhancements to ScoutBook. There is NO perfect program, for any organization. I recommend you embrace ScoutBook for what it can do for US now! My dad always told me “all you have to do is ask”. Yes, that statement has very much to do with a father daughter relationship, but being a Scouter for me has always been about the “Ask”. My dad taught me that it is ok to ask people for help and in return be at the ready to help others if asked. What does my relationship with my dad have to do with helping Scouting Thrive? Collectively we have delivered great programs to thousands of Scouts over the years and I am inspired by the level of commitment and talent you can find within the Scouting community. 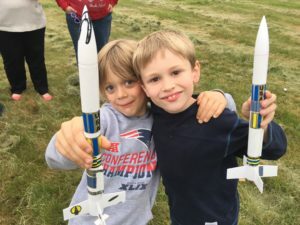 It is amazing how someone can take a simple idea and deliver something that will last in the minds of our young Scouts for a lifetime just because they were asked. Sometimes we prompt the ask in a conversation with other leaders and parents by saying “What can I do to help?” Because we all want to help, Don’t We? We often just do not know how. Well here it is how the “Ask” helps Scouting Thrive, someone tells us what they need us to do by asking us a very specific question. 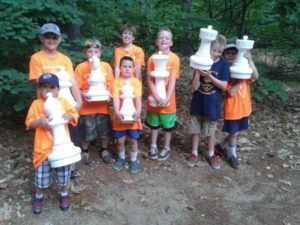 I was asked to be the Registrar for S.OA.R – Scouting’s Outdoor Adventure on the River, they asked “Can you help us get 10,000 people to come to the Charles River in October of 2016”. A specific question…okay, I was crazy enough to say yes (my dad would remind me that it is good to be helpful) and now it is my turn to ask you something. 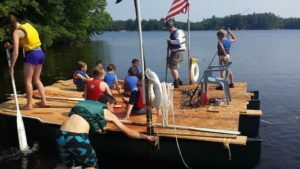 Have you encouraged others to attend Scouting’s Outdoor Adventure on the River? You can help us by working with the Pack’s in your town to coordinate Webelos Camping Overnight for the event with your Troop. Have you signed up to volunteer for S.O.A.R.? You can help us by signing up to volunteer! Visit http://staff.soar2016.us/ to sign up today! You can share with others and let them know that your unit has registered for Scouting’s Outdoor Adventurer on the River and that you are ready to for a memorable adventure with 10,000 new Scouting Friends on Columbus Day Weekend. You can help us by joining our S.O.A.R. Facebook Event Page let us know you are coming. Better yet Join and Share our S.O.A.R. Facebook Event Page! 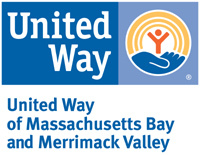 Don’t know how you can help – Guess what? Ask me! Email register@soar2016.us – I have just the Job for YOU! Over this past year, teams of volunteers have been planning, emailing, phone calling, attending countless meetings, all to make S.O.A.R. a quality event that will be sure to provide countless memories that will stay with you and the youth we serve for years to come , all because someone asked. Now it is your turn, I ask you to help us by saying yes to any or all of the questions above! See you on the Banks of the Charles River October 8-10, 2016…Come Join the Adventure! Last year, I recall reading a Council blog about a focus group held at New England Base Camp with non Scouting families. My takeaway was families once exposed to the Scouting program thought it was awesome but they also told us they saw Scouting a closed system and as outsiders did not know how to access Scouting. I thought this was a terrific insight and thought if we can get our message out and promote an invitational environment, we may just be able to grow the program. Now, I have enjoyed some recent success getting our Pack’s story in the local press. It wasn’t easy. I spent a year submitting photos and articles and getting no results. My wife and I spoke with reporters and editors at our local weekly and delivered a similar response. “We have been sending pictures and articles but nothing gets published. I’m good if you don’t print our stuff, just let me know and I won’t bother taking the time to submit articles”. Our media friends, want photos and stories about our Scouts doing something exciting. Let our Scouts tell the story. Show the Scouting spirit. Make it easy for the press. Give them action photos and an engaging headline. Close up photos work best. So, if we write the story we want to tell, in they way the press likes they may just print the whole thing. We have an opportunity to engage potential recruits, stakeholders and the communities we serve at zero cost. We also get to define the Scouting brand in our community. People have a fuzzy impression of what Scouting is about and so if we create a mental picture of Scouting in our local community we may be more successful recruiting new members and engaging adult participation. So, why would the press be interested in Scouting? We have great activities no one else is doing. 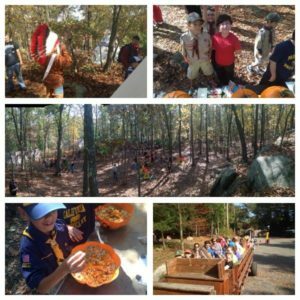 Cub Scout photos show authentic excitement. Our content is free. No payments to freelancers or staff reporters. 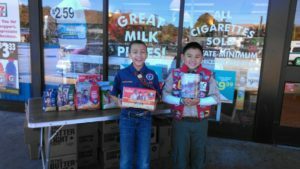 Cub Scout parents are a demographic that might not buy newspapers and who the print media may want to engage…and the demographic that buys newspapers loves Scouting. This is an example of why close ups are important. A good close up eliminates visual clutter that may not be appealing to an editor. It is also a lot easier to take a three great individual photos than a group shot. The below articles were published and I included one photo from the final article; however each article had a multiple photos that made it to print and I did not include the narrative portion. A common theme among all that were printed were great photos of Scouts genuinely excited about Scouting. All three events, were also open to new recruits and we had new visitors. So, you may say, that’s great but: 1) you aren’t a professional photographer, 2) you are not in PR and 3) you don’t have time. No worries. Most of these photos were taken on a smartphones, all by amateurs. The story is a simple one to write using a common recipe. It does need to be produced soon after the event to be newsworthy. 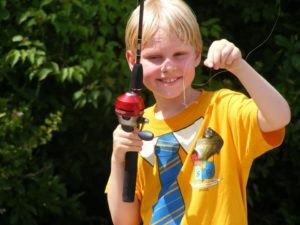 Story: Pack 1 Cub Scouts had a great experience doing something fun, learning something new. 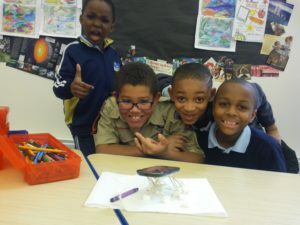 Pictures: Close ups of excited Cub Scouts doing an activity. Send files as a .jpg attachment. 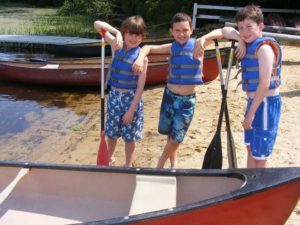 Closing: Cub Scouts is a year-round outdoor program for boys in grades 15. For more information contact: _____________. So, why make the effort? We have a great story to tell. Press coverage instills as sense of pride in Scouts about their program and unit. It helps define the Scouting brand in your town. It validates our Scouts. At our feeder school, press clippings of students are posted in a prominent location a common practice. 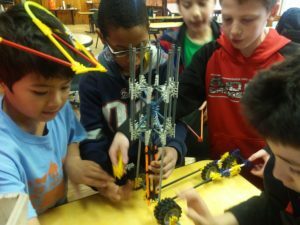 Because of the nature of our program as civically engaged and offering unique programming we have the ability to generate press other youth activities can only hope to create. Finally, telling our story in an invitational way will help to address a perception of Scouting as a closed system and open for new members. If you are having an event of this nature that you feel deserves broader press than just within your community, please contact Brice Pearce, our Communications and Sales Manager via email or Facebook. Submitted by John Iler, BSA Climbing Instructor, former Scoutmaster of Troop 103, Burlington, MA, and dad. “OK, I’m going to do this exactly once in my life.” That was my daughter Sarah as she prepared to rappel down a 40′ foot rock face at Quincy Quarries. 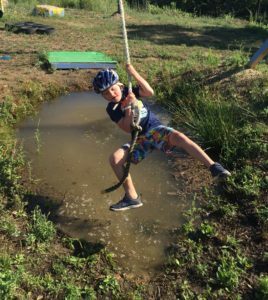 Climbing/rappelling is just one of the many ways to ‘play outside’ provided by New England Base Camp at Camp Sayre. Sarah leads a busy life with many high school activities, but she was never really a big outdoors person. However, her Eagle Scout twin brother Luke was very active in his Boy Scout Troop. Sarah enjoyed Luke’s stories of adventure and misadventure as he returned from campouts. She wanted a taste of the camaraderie with good friends, the fun of a campfire and outdoor cooking, and a little adventure. When Burlington’s Venture Crew started two years ago, she jumped at the opportunity to be a founding member. One of the first adventures the Crew had was the Quincy Quarries rock climbing trip mentioned above. Shortly after that trip, the Crew enjoyed the Venturing Klondike at Base Camp in February 2015. In the abundant snow, Venturers hiked about in snowshoes, went Ice Climbing, and practiced making climbing snow anchors, all within Base Camp. One station embedded in Sarah’s memory was the simulated crevasse rescue. As the first volunteer ‘victim’, Sarah began to lower off the edge of a very real ice and snow covered cliff being used to simulate a crevasse. She gasped slightly, exclaiming, “this is a lot higher than I expected!”. Fortunately, her Crewmates working with the instructors set up the rescue rope and pulley system and hauled her back up over the edge. decidedly less Klondike-like conditions. 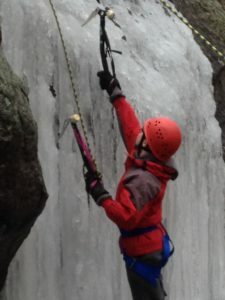 The Base Camp staff and Ice Climbing instructors adjusted the program to deal with the balmy weather and snow-free conditions. The Crew particularly enjoyed the fat-tire bike riding and Base Camp’s High COPE course. When Sarah walked along the COPE course’s 50′ high ‘Burma Bridge’ cable, she let go of another fear. As Sarah and the Crew prepares to go to Philmont this summer, I know their various Base Camp experiences were a good part of giving them the confidence to try any challenge. In parallel with the Crew’s growth, I was also able to have some of my own. 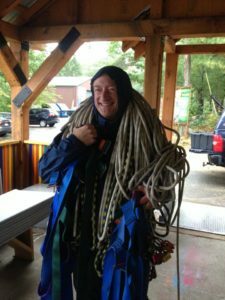 Just before the Crew formed, I was a student in a BSA Climbing Instructor’s course. This led to me becoming a rock and ice climbing instructor in the council, which allowed me to help provide many of the Crew’s experiences above. I am fortunate to have worked with so many scouts and for my new friends in the instructors’ community. Are instructing and participating in Base Camp’s climbing opportunities right for everyone? You will know as soon as you try.